:: why buy from us? Deciding Which New Vehicle To Buy? 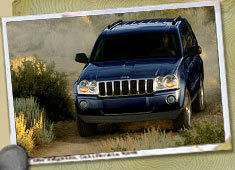 Check Out The New 2008-2009 Model Lineups From Dodge, Chrysler, and Jeep! - Check out the updated vehicle specifications and new models. - View the many choices in colors and options. Need Help In Finding a Quality Pre-owned Vehicle? View Our Current Car & Minivan and Truck & SUV Inventories Online! Need Help in Contacting Knous Motors? Knous Motors - Your Petersburg Dodge, Chrysler, and Jeep Dealer! Click here to create a Mapquest map or get detailed driving directions to Knous Motors!